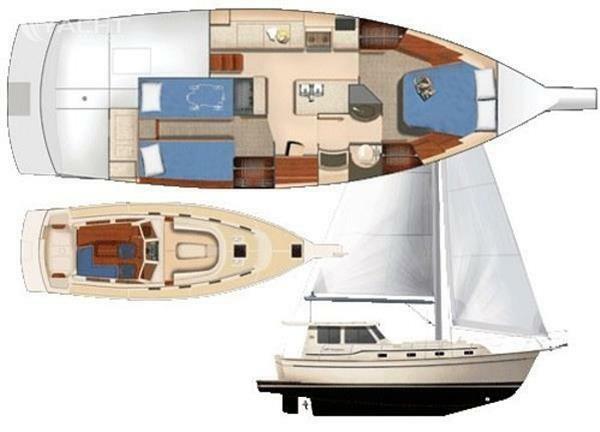 Where this hull form differs from the typical "sailing yacht" is that the broad transom intersects the waterplane, i.e. 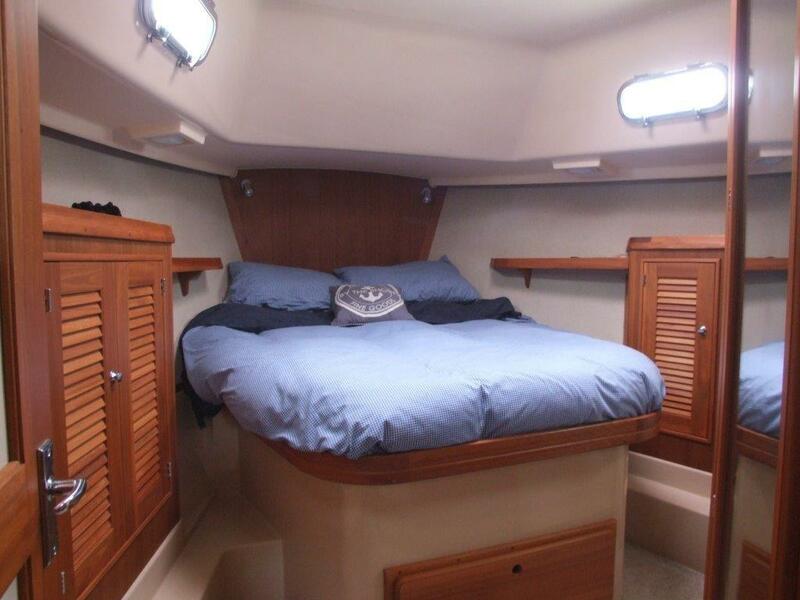 there is no overhang aft. . With a 110-horsepower engine this boat will motor at 8-plus knots all day. Among many unique features are the SP Cruisers twin cockpits. 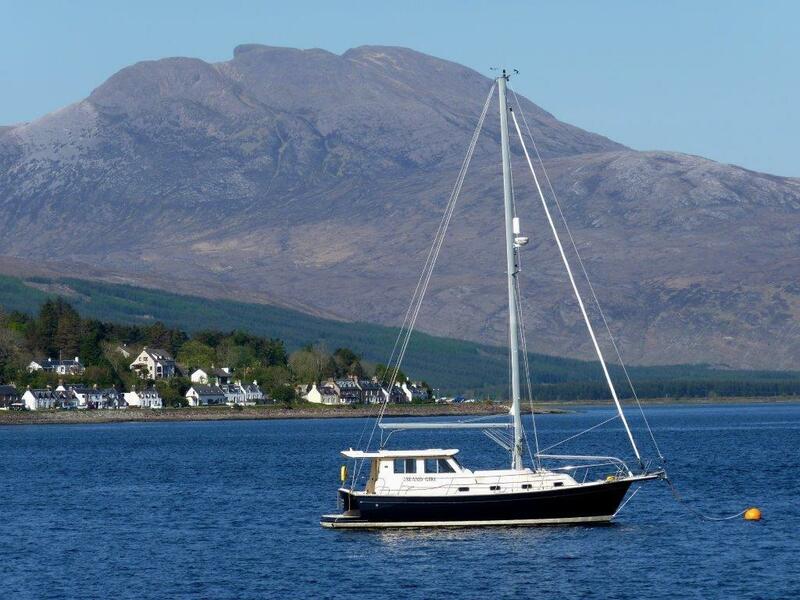 One aft, perfect for the first cup of coffee of the morning, plus one forward, just the right place for a group to sit while cruising or at anchor on a beautiful day. 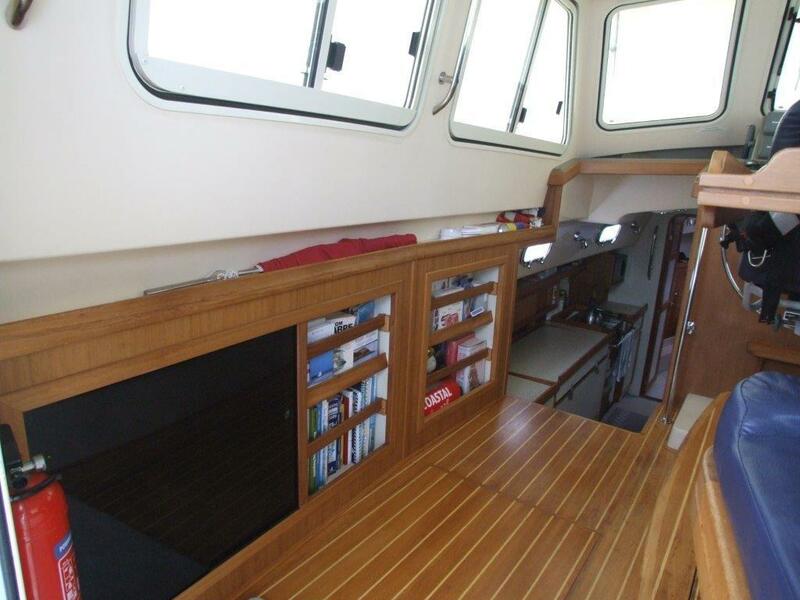 Large CE Category A – Ocean rated opening windows in the enclosed deckhouse offer panoramic views, while the centre windshield panel hinges upward to allow socializing with family and friends in the forward cockpit. 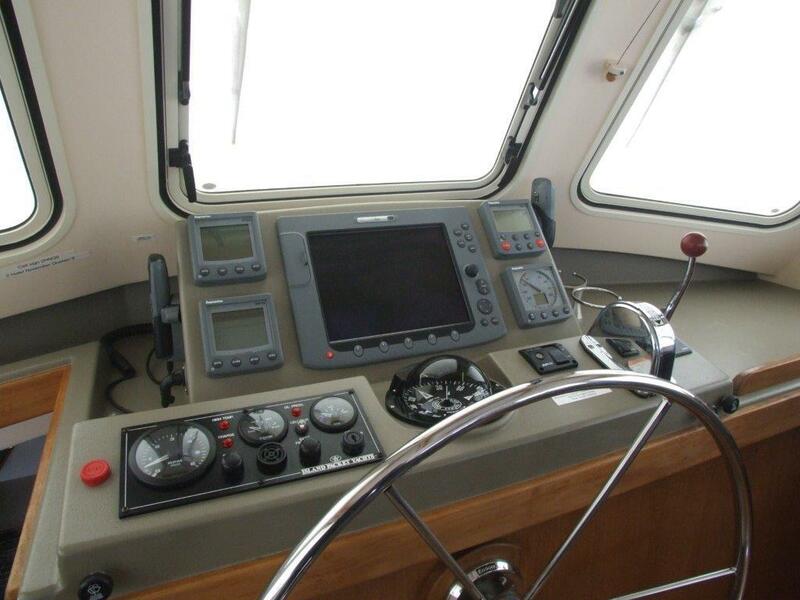 Control of this vessel is made easy and comfortable with dual swivel helm and companion chairs plus a large console forward of the wheel for engine controls and instrumentation. 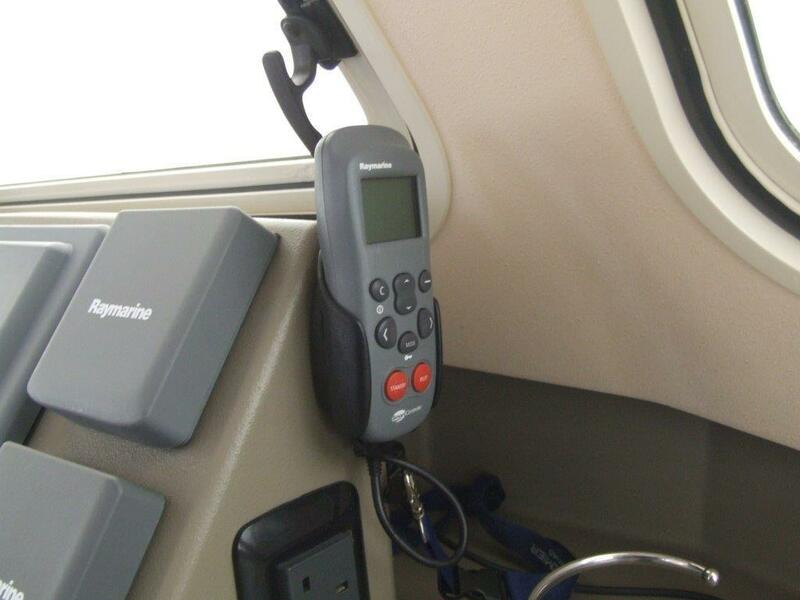 An optional autopilot gives you the ability to steer the boat from virtually any location aboard with a wireless handheld control. And with the forward chairs and L-shaped settee surrounding the folding table, this is a wonderful spot to have a meal or play a game of cards, regardless of what the weather is doing outside. A simplified, self-tending roller furling sloop rig has sail controls led to an electric winch in the aft cockpit. A pair of Lewmar CW800-Winches, allowing the main and jib to be trimmed with push button controls at both the helm and aft cockpit. The SP Cruiser MK 2 features a new hull form, providing increased hull speed and virtually level running under power, even at full throttle. 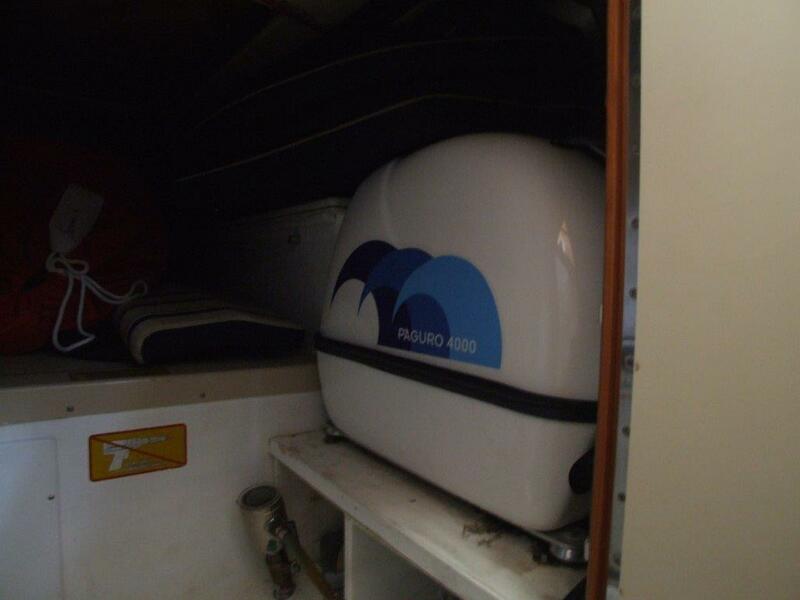 The large fuel tank allows extended range with moderate fuel consumption when the winds die. 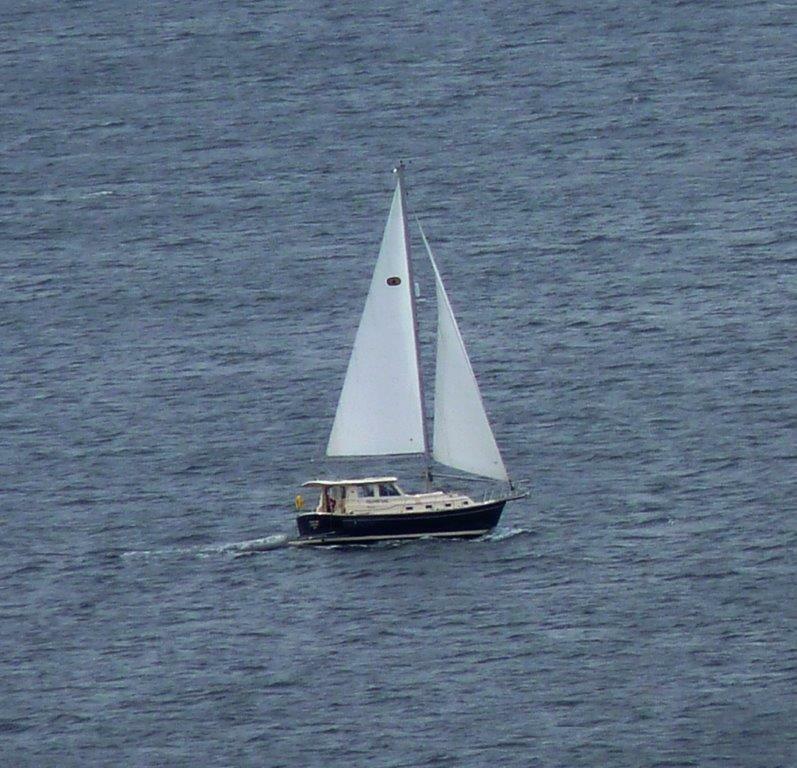 Naturally, one can also augment powering performance with the sails, increasing speed and/or reducing fuel usage. 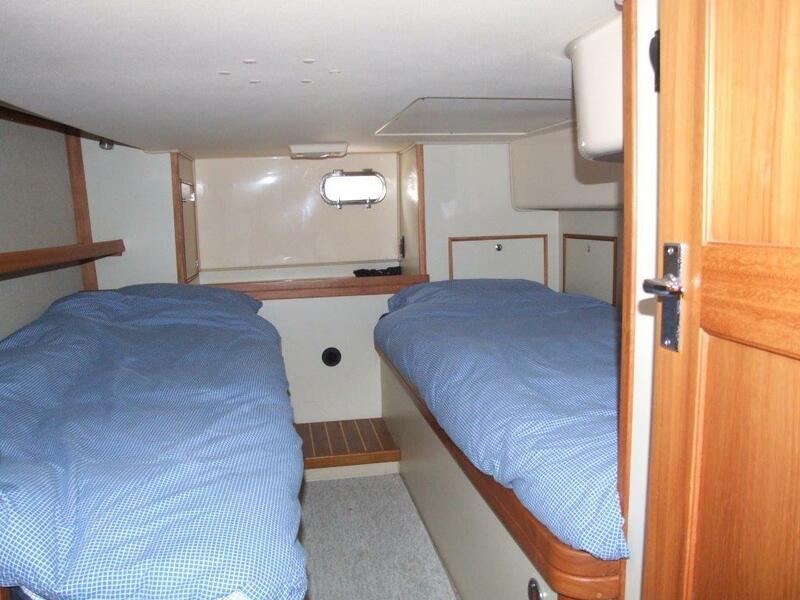 The interior accommodations of the SP Cruiser MK 2 are especially spacious. 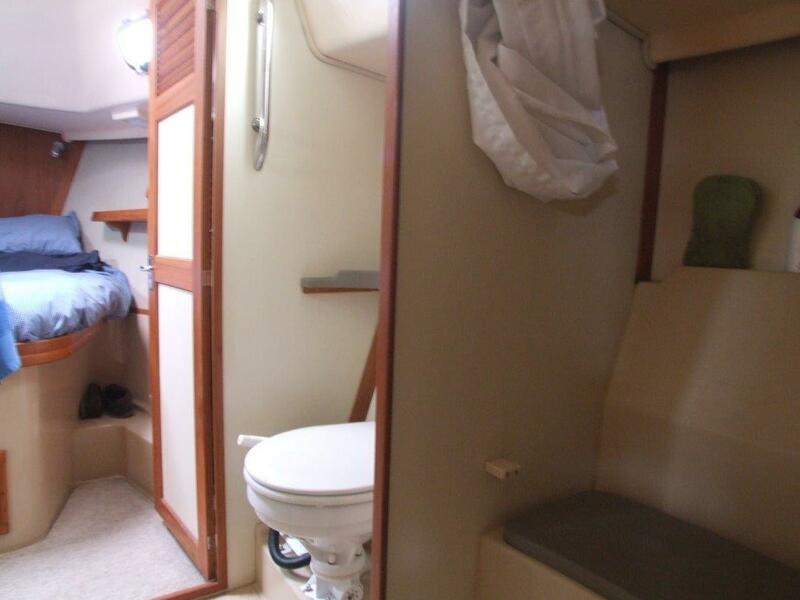 Below you will find the owner stateroom forward with a double island berth and two hanging lockers. 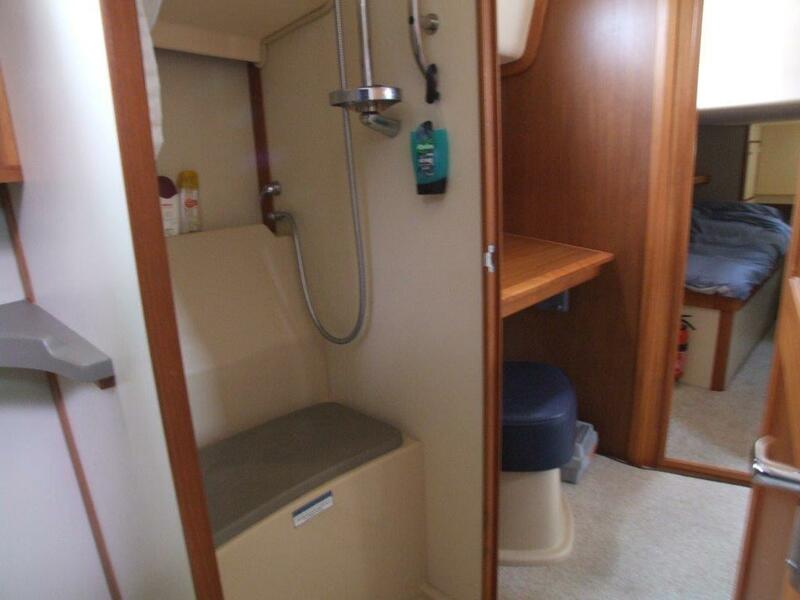 Just aft and to starboard is a large head and separate stall shower with private access from either side. 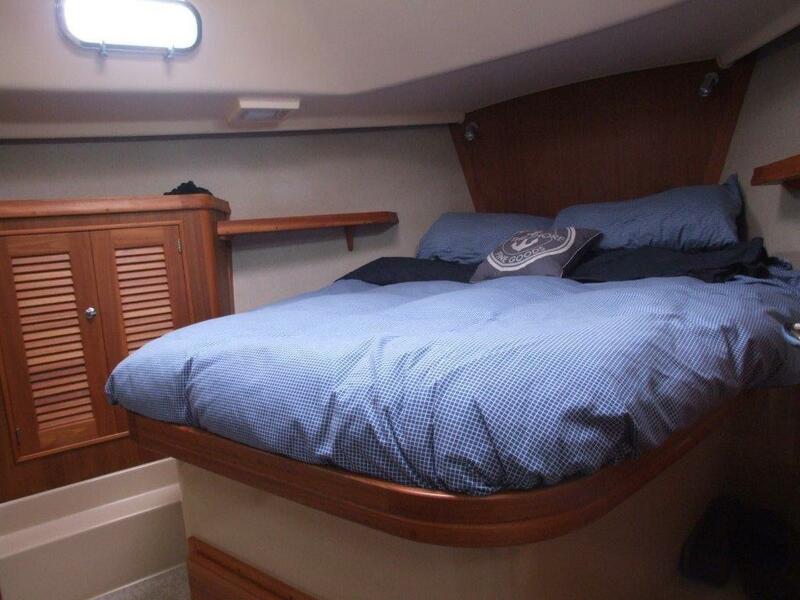 Aft is a guest stateroom with two single berths, a large hanging locker and an array of storage cabinets. 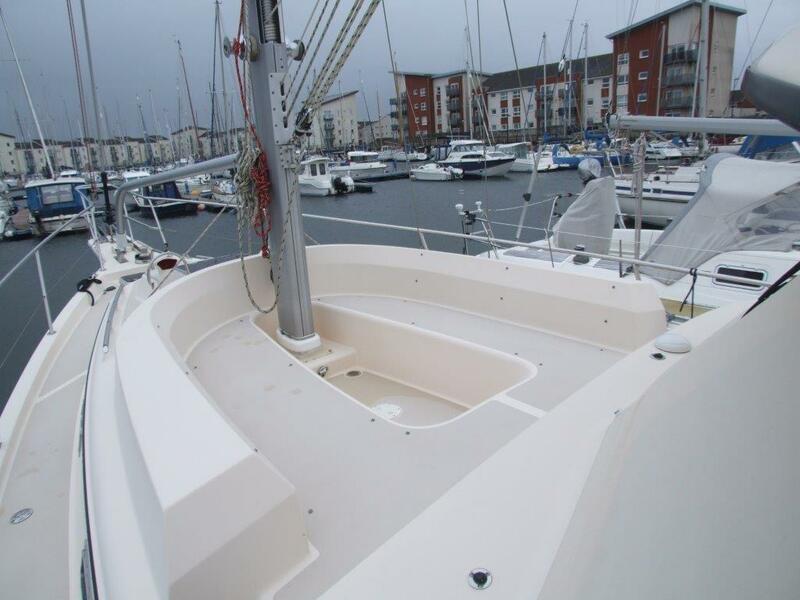 Hull with long keel and protected skeg of rudder. 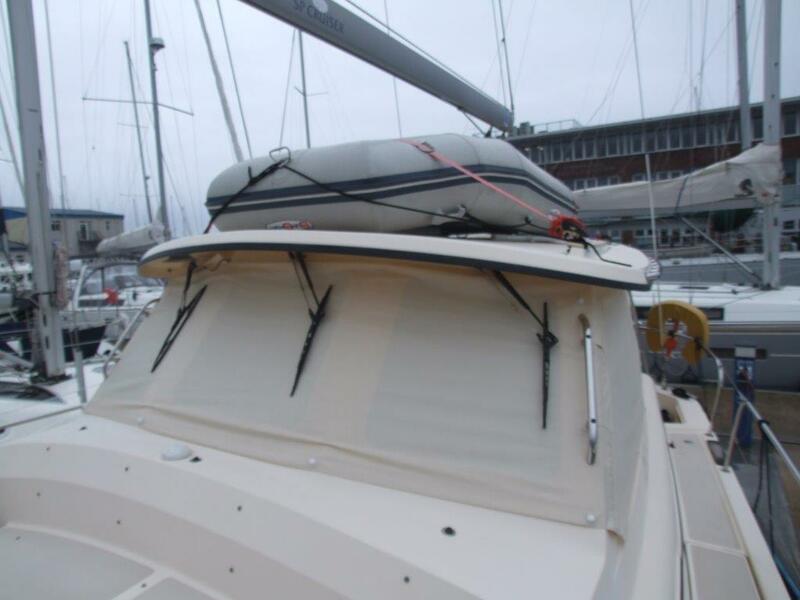 Build in Stern platform with transom door and emergency ladder with pull strap. 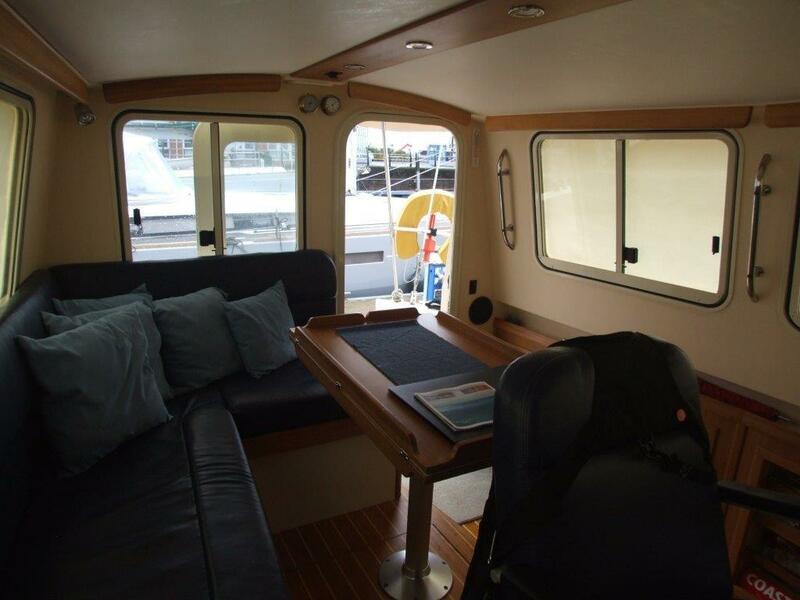 Deep cockpit aft of deckhouse with molded side seats and storage. 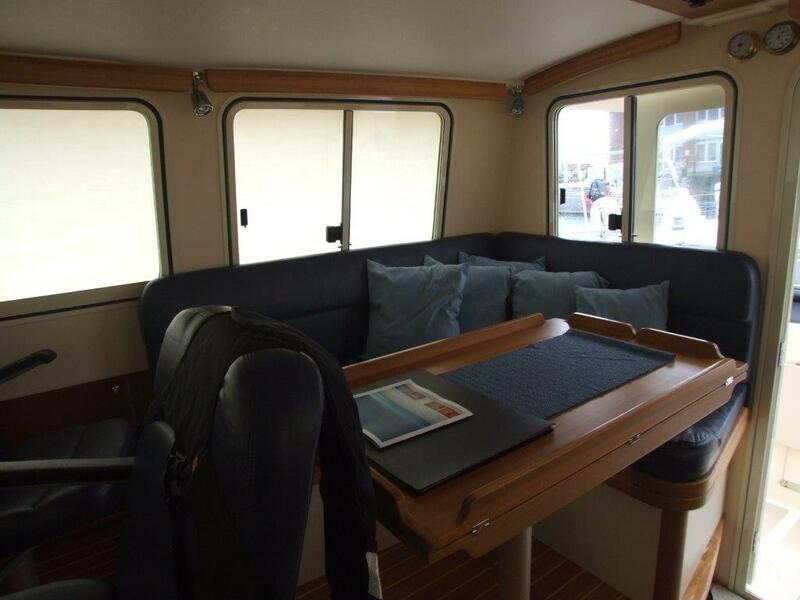 Step up to the side deck side rails and sail controls, Folding table, extending hardtop with sail viewing window, transom door to stern platform over head light and sole hatches for storage. 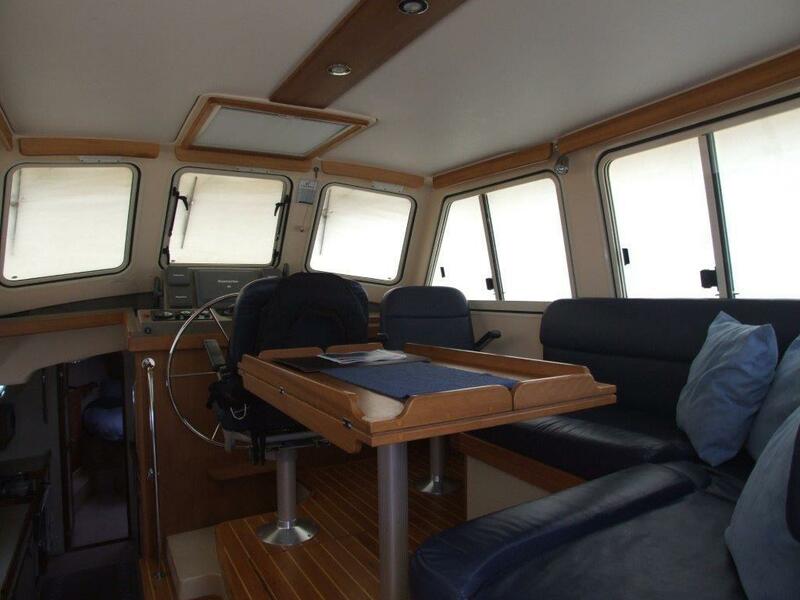 Mid Cockpit forward of deckhouse with full lenght seats walk-thru to side deck and table. 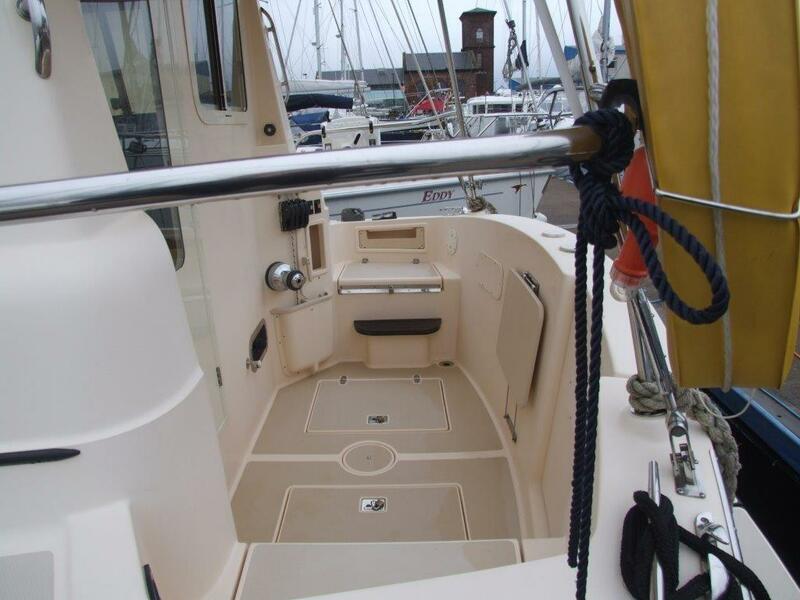 Stainless Steel bow and side rails to aft cockpit with side gates on quick release hooks. 110 Hp Yanmar 4JH4-GHTBE Turbo Diesel Engine. Shaft Drive to a 3 bladed fixed prop. 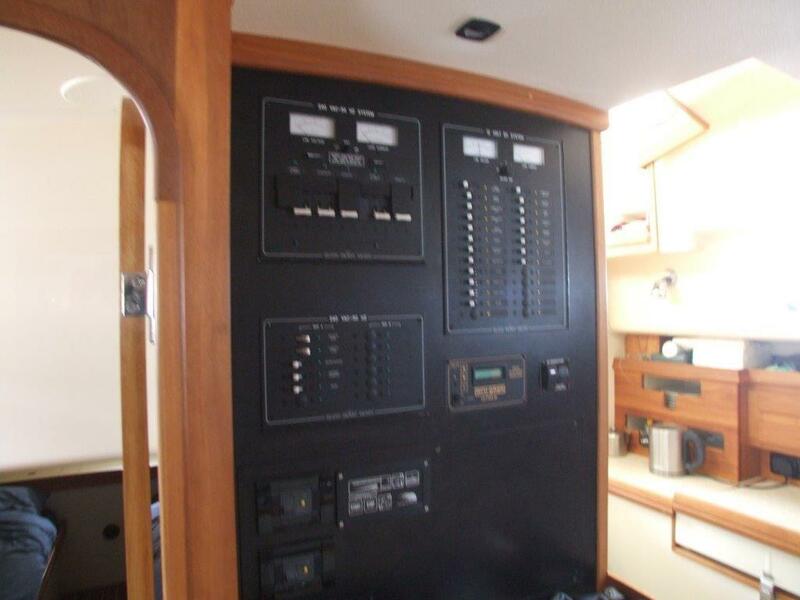 60 Amp battery charger of shore power. Engine Alternator. Hot water via engine and shore power calorfier. 9/10th Alloy rig with single Spreaders. 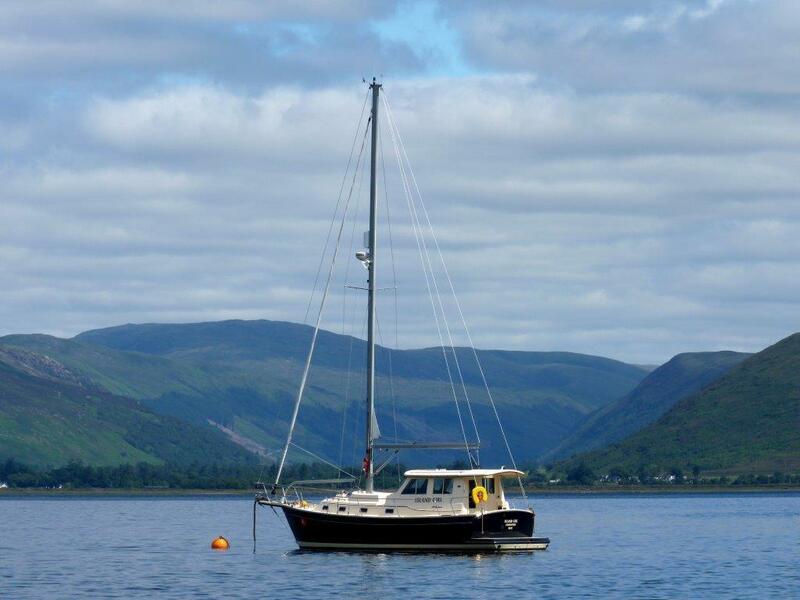 In mast Furling with Furling Jib reefing. Mast. 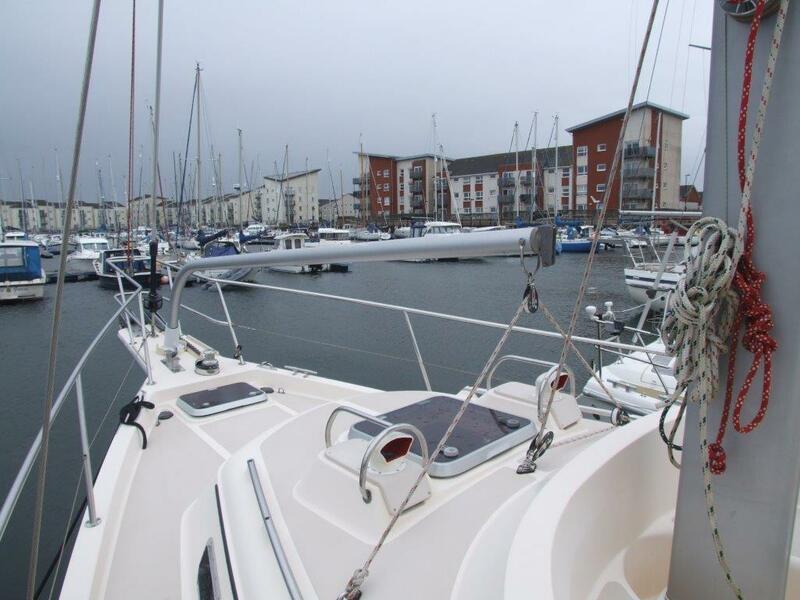 Jib halyard led to Lewmar Oceanis Series 16 C 2 spead winch on mast. Centralized sail controls in aft cockpit with on Single Lewmar Ocean Series 40CEST electric winch. Multiple sheet jammers and rope bin. All sheet and furling lines lead aft to this single winch in the cockpit. 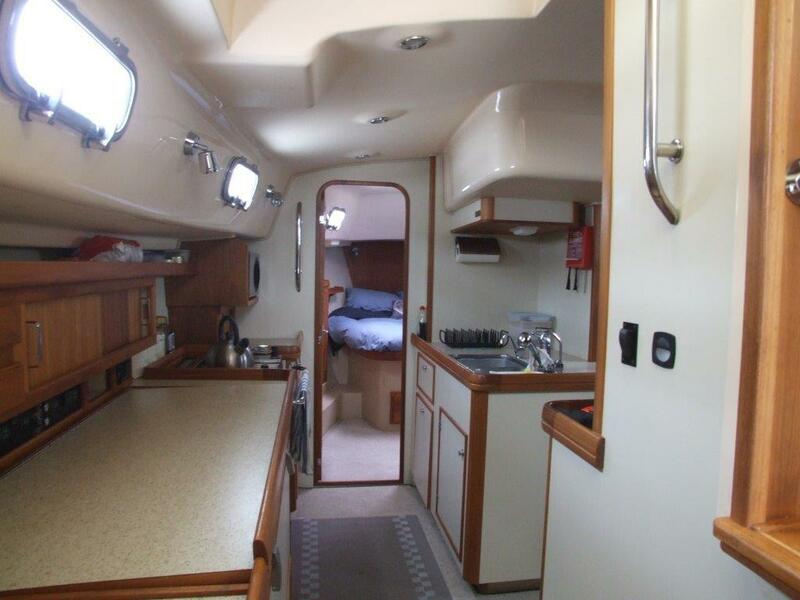 With central helm and L-shape settee with table plenty of storage under setting. 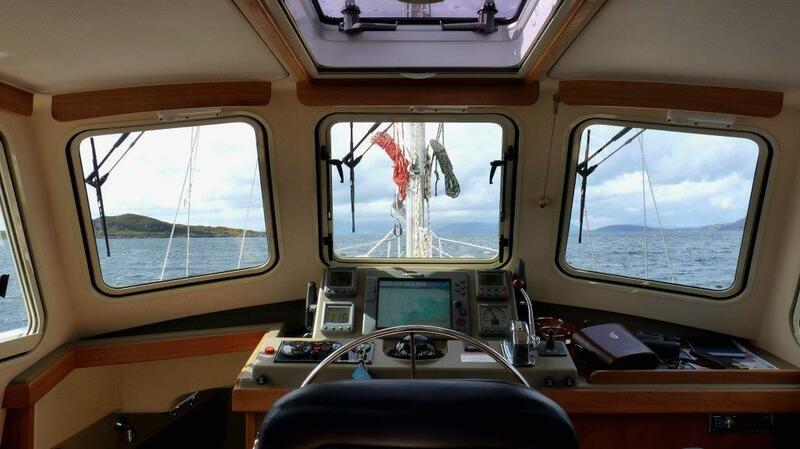 Panoramic views through large offshore rated safety glass windows. side and rear windows slide open and the centre forward windshield hinges upward for ventilation and contact with forward cockpit. two speed windshield wiper and washers for all three forward windows centre window with inmertant wiper. Adjustable individual helm and passenger seats swivel 180 degrees for socializing and dining. Console forward of the wheel for the engine and instruments, tilt-out chart bin and flat console area forward of the passenger seat for a Navigation area. Full length hinged mirror with mast cabinet access behind. Heads with Separate shower stall. Stainless steel rod in shower area for use as wet locker. 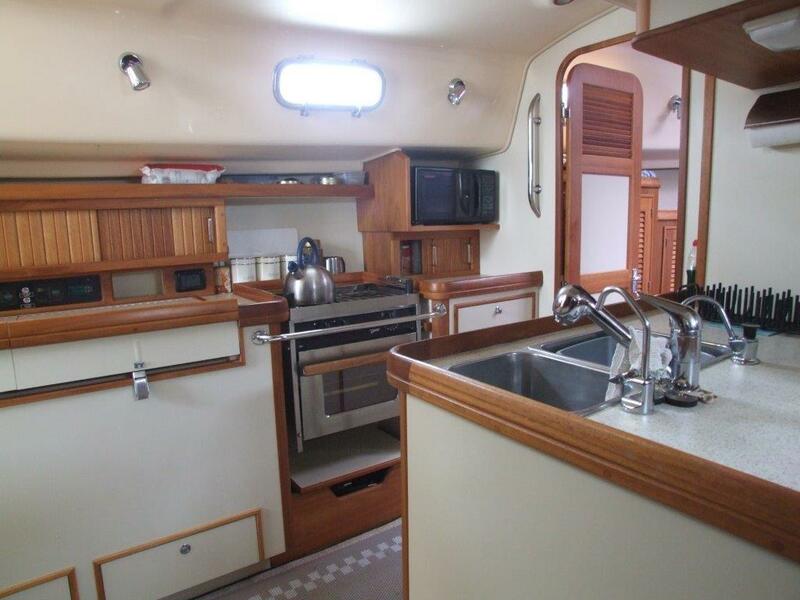 With twin berths privacy door to galley and office area. Cedar-lined bureau with removable shelves for use as hanging locker. Engine access hatch under inboard berth. Berber marine carpet. With walk-through design. Counters with designer High-pressure laminate worktops and hardwood fiddles. 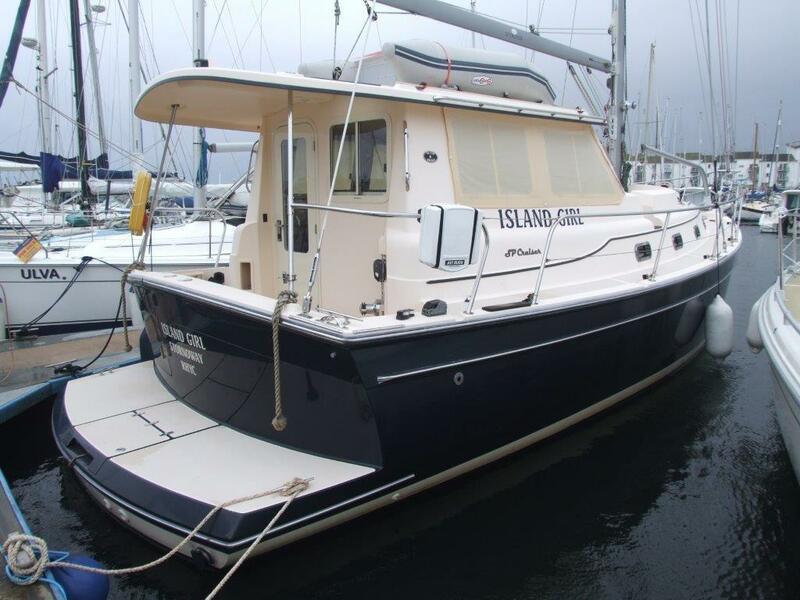 If you would like more information about this Island Packet SP Cruiser MK2, please get in touch using the contact details below, or alternatively by using the contact form on the right.